I’m pretty happy today. I finally joined my first CSA with Bells Bend Neighborhood Farms today. 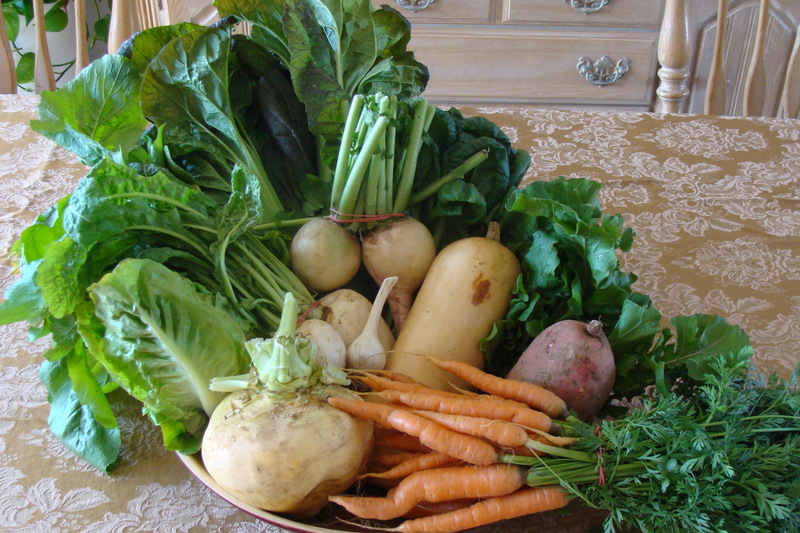 A CSA, or community supported agriculture, is a program where a consumer has a direct connection to a food producer, a farmer in this case. The consumer acts as an “investor” in the farm, and the producer gives the consumer a weekly batch of fresh produce. For foodies like me, this model is awesome because you know you are getting incredibly fresh, seasonal, and organically raised food. More importantly, you know who is growing it. My farmer, Eric – he’s a cool dude. He speaks so passionately about food, his sustainable farming methods, and is willing to share it all with us. It’s a connection that we have lost over the past few decades with the advent of supermarkets. But with CSA’s becoming more popular, with consumers more interested in local foods, and rising health concerns, I hope our kindred relationship with the food we eat and the people that make it become stronger. We will all be better for it. Now that I got that off my chest, you probably want to know what’s in that basket! I actually have more food than I can fit in that bowl, but this gives you an idea of how much food you actually get in a week. I order the “half share” or a “1/4 bushel” which is supposed to feed a small family, a couple, or one person with a big appetite (that’s me! but I’m willing to share…maybe). Needless to say, I’m very excited for the meals I will be making with all these great ingredients. I’ve already sampled a lot of things raw, such as this gorgeous watermelon radish. It’s called that because it is green on the outside and bright pink/red on the inside. Another thing I love is learning about different varieties of produce. I was actually having a conversation via twitter with one of my friends. She was surprised to find out that there were different types and colors of carrots. In fact, there are purple, red, white, and yellow carrots besides the usual orange ones. Big food producers oftentimes look for consistency in products, so it tastes the same all the time. But really, there are so many different varieties of carrots, each able to bring something new to the party. 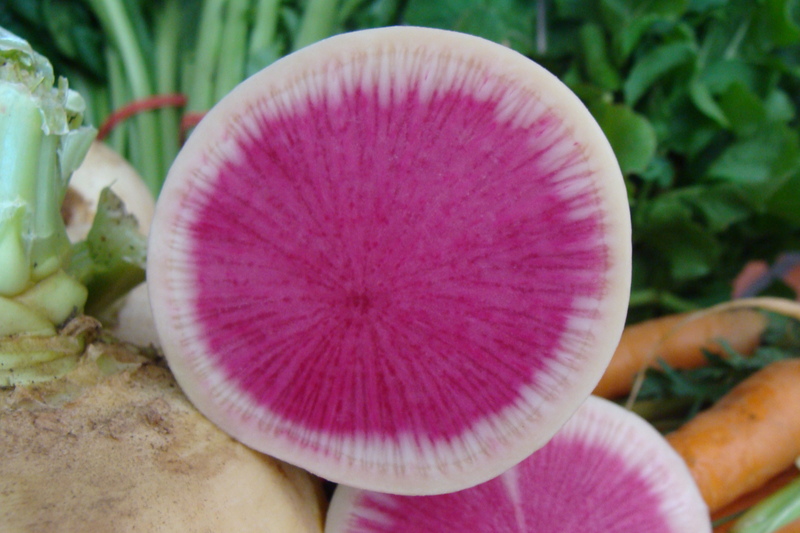 The same goes for beets, or in the case of my CSA the different styles of turnips. Genetic diversity in food is a good thing. Not only do you get to try a bunch of different varieties, but you taste things that maybe you’ve never even heard of before. Those great finds are special moments. So, while this CSA is pretty short, I hope to continue on during the main growing season, starting in late April/early May. Are any of you involved in CSA’s? If so, which one? What’s your experience like? I think it’s a valuable conversation to have amongst those interested in eating well and food politics. ← CSA Pictures Coming Soon!